Two-time Dove Award winners By The Tree have made a name for themselves with their ability to mix passionate worship with catchy rock/pop melodies. Since signing with Fervent Records in 2001, the group, which includes Chuck Dennie (vocals, guitars), Ben Davis (bass, keyboards, vocals), and Aaron Blanton (drums, percussion, vocals), has released a record each year and show no signs of slowing down! When Dennie started the band back in 1997, he did not intend to make a big music career out of it. However, as the group began to lead worship at numerous churches, retreats, and camps across the south and southwestern United States, their fan base grew by leaps and bounds. This led to the release of two independent albums which sold over 30,000 copies. In no time at all, record companies began seeking them out and the band eventually chose Fervent Records as their home. 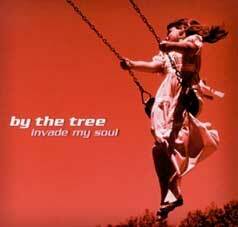 Invade My Soul, the band's first release through Fervent, found great success in the Christian market, winning Dove Awards for Modern Rock/Alternative Album and Recorded Song. The band soon began touring with Christian music icons, The Newsboys, Delerious, and Jeremy Camp, and released two more albums in 2002 and 2003, bringing their total sales to 150,000 records. The busyness of life, though, soon caught up with Dennie who, at this point, found himself feeling a little out of touch with God. Through all the excitement and success, he felt as though he had lost track of what the band was doing and why. After some time, Chuck felt God leading him back to the place where it all began - true, heartfelt worship, for himself and for the band. 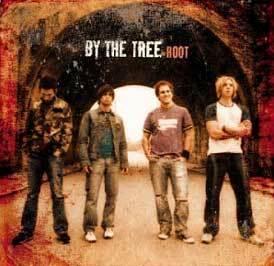 In June of 2004, By The Tree released Hold You High, their fourth album with Fervent. It has become a very special record to them all, as it has reclaimed and reinvigorated the foundation on which they began.